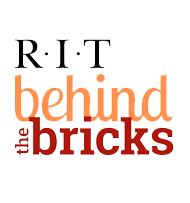 Parking and Transportation Services (PATS) is responsible for administering parking and transportation services at RIT. Parking regulations require that all vehicles operated on campus by students, faculty, staff, and contract employees must be registered as quickly as possible but no later than ten days after arrival on campus. On-line registration makes the process fast and easy. You do not need to be the owner of a vehicle to register it. Navigating a large campus that provides parking for thousands of students, employees and visitors daily can be challenging at times. With that in mind, consider alternative transportation modes, such as transit, bicycling, walking, or ridesharing instead. Transit services are provided for all constituents throughout the school year. Shuttle service makes regularly scheduled stops at all RIT apartments, residence halls, NTID and the RIT Inn and Conference Center, as well as Barnes & Noble @ RIT, Park Point, The Province, Racquet Club and academic areas. Please feel free to contact the Parking Office with any questions.